Banana splits = summer delight. 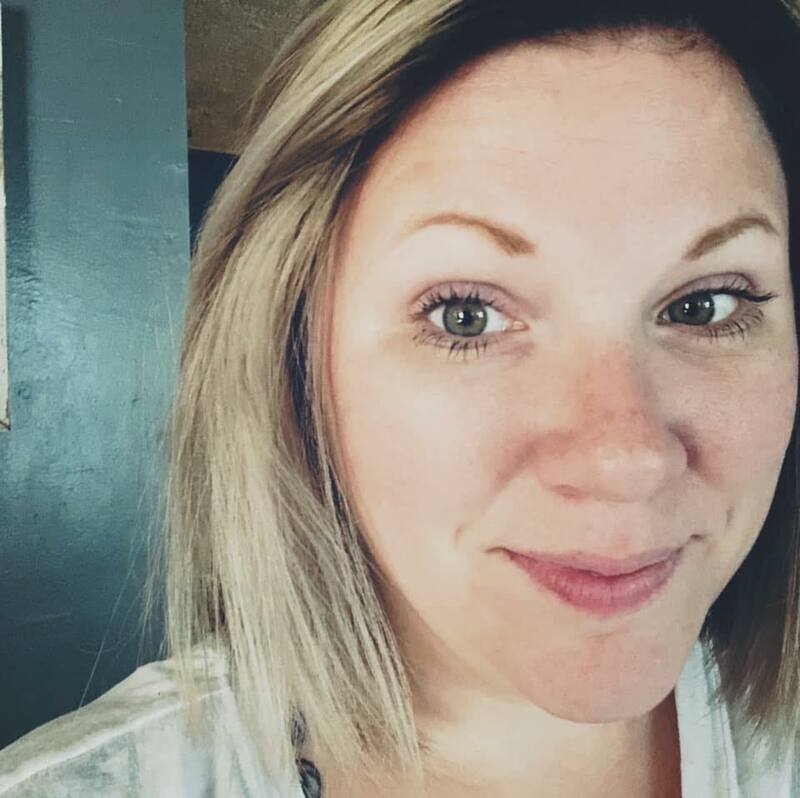 I love the combination a banana split has to offer. Pretty much a little bite of heaven in a funny shaped bowl. I was craving one the other day. The day before Easter to be exact. 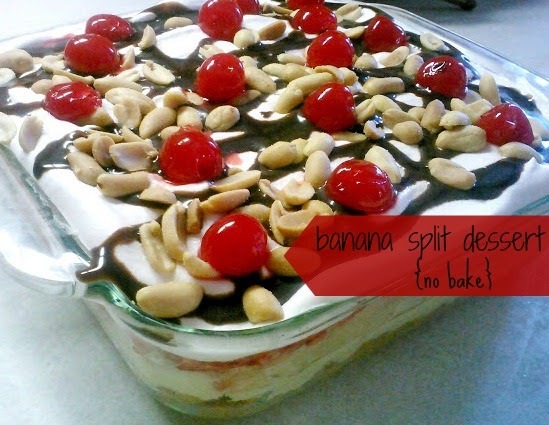 That's when I remembered a pin from Pinterest for a no bake banana split dessert from Natalie's Killer Cuisine blog. I browsed my 400+ "must bake" board for the pin, and found it and decided that I would make it for an Easter dessert to take along to my sister's house. I'm very happy I did. The original recipe called for 2 raw eggs in the custard-like portion of the dessert, so I did use pasteurized eggs (like Egg Beaters). Combine crushed graham crackers and melted butter and press into a 9x9 baking dish. Add softened butter, powdered sugar, vanilla and eggs into a mixing bowl and beat with a stand or hand mixer for at least 5 minutes. Until mixture becomes thick. Spread evenly over the graham cracker crust. Slice bananas length-wise and press cut-side down into the butter mixture to form a layer of banana. You may have to play jigsaw puzzle to get some of the pieces of banana to fit. Spoon crushed pineapple over the bananas. Spoon the strawberries over the pineapples. Top with a layer of cool whip. Add desired amount of peanuts. Chill for at least 1-2 hours to allow to set up. 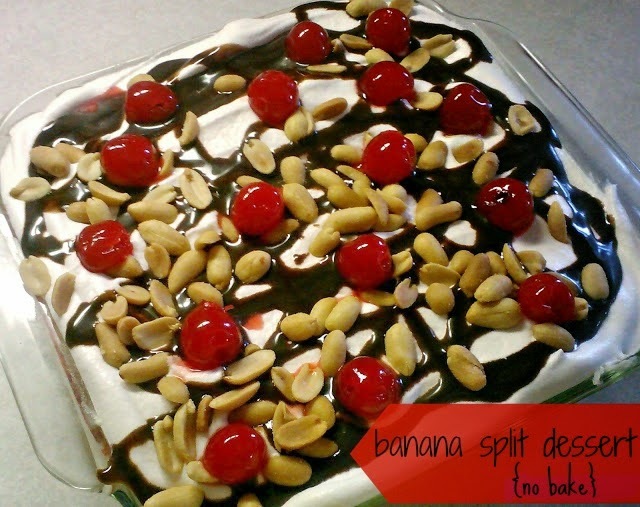 Serve and enjoy a delicious banana split!